Get creative with your fashion skills by considering this bed in a bag. It has been crafted with care from a fine quality fabric that not only ensures an easy maintenance but also offers you a smooth feel against the skin. 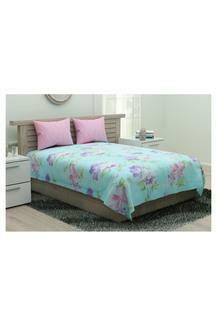 It also flaunts a beautiful print pattern that will brighten up your bedroom. 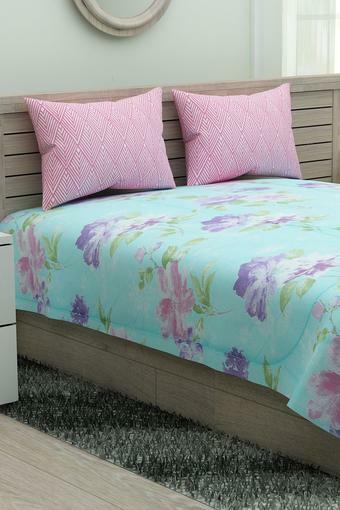 Dimensions: Double Bed Sheet - 230 x 274 cms, Pillow Cover - 45 x 69 cms, Double Quilt - 218 x 239 cms. Add a classy touch to your bedroom by using this bed in a bag set from the house of Ivy.